Heilongjiang Provincial Government Scholarships Program at Jiamusi University in China, 2019 - 2020, application starts from 14 March, 2019. 1. 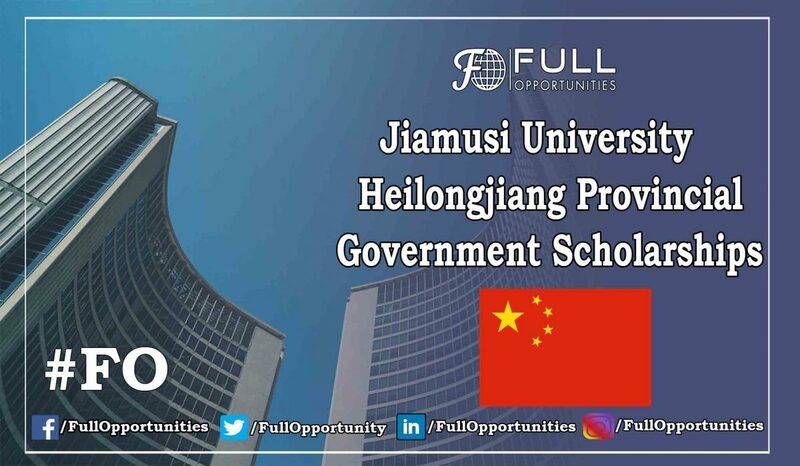 Application Form for the Heilongjiang Provincial Government Scholarships. 2. The notarized high school graduation certificate and academic record. 4. Recommendations of at least two professors or associate professors. 5. Original “Foreigner Physical Examination Record”. The applicants need to apply before April 15th, 2019. Address: Room No.209, the Admission Office of International Education College of Jiamusi University，No.258 Xuefu Street, Jiamusi City, Heilongjiang Province, China.